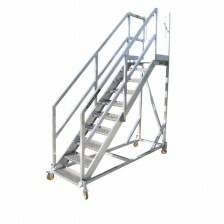 Part of a suite of platforms SafeSmart designed and manufactured for a client’s Airbus A350 fleet, this staircase assists goods handlers with safe and quick access to the cargo door. In fact, all cargo doors can be accessed in perfect alignment with no gaps thanks to the hand-operated winch for height adjustability. 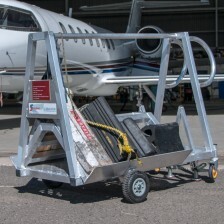 The stair system is easily towable for quick decommissioning and redeployment to another aircraft.